Everybody likes free stuff, especially if that free stuff includes the opportunity to talk smack to friends and enemies. 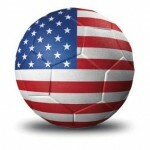 We figured the relaunch of Soccerati.com was a worthy occasion to give something away for just a little effort. All you need do is be able to pick more winners during the Champions League then everyone else. ESPN is running a Champions League Pick’em contest from the first match through the entire campaign. If you finish with the most points when the latest champion is crowned, we will ship you a jersey from your favorite club. If that club happens to be in the MLS, we reserve the right to mock you while still providing you with free stuff. The first match is September 18th so get your picks in now. The group is unlocked so players can join later but they will be at a disadvantage (yet still likely to beat most of the Yanks entered). Pass it along, the fun is open to all. Good luck and see you in there. What went wrong and what can be fixed? Soccerati is an electronic conversation about soccer. For more information: info@pokerati.com.